analyzing online surveys while boosting survey engagement. popularity of online survey tools and increasing response rates. structure, and sequence are predefined and cannot be readily changed. which in turn lowers survey response rates,” adds Patterson. administrators to create surveys faster and with greater flexibility. a superior and productive environment,” explains Patterson. a demonstration of the new solution. consulting, and government across the globe. 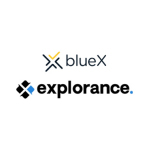 Learn more about Explorance.